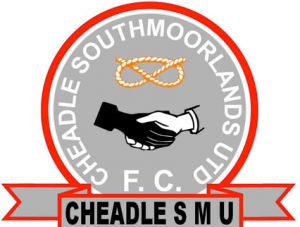 Cheadle South Moorlands United have a Club Vision to provide a safe environment for young people of all ages to allow them to participate, develop, improve and enjoy football. We will encourage, develop and improve coaches, including volunteers, to support the needs of young people in our community. To ensure the club has the appropriate legal structure, has the right people and processes in place that allows it to operate effectively and efficiently, in order to sustain it’s activities. To ensure the club is managed and run effectively in accordance with FA guidelines and to provide structure, management and leadership to successfully deliver a Football Development Plan. To support and retain all existing players and teams within the club and look to develop opportunities where gaps in provision exist locally and introduce new male and especially new female players to the game. Promote and encourage all opportunities the club offers to the local and surrounding areas. To create a positive environment for every player to develop key essential skills to reach his or her potential. Ensure player pathways exist to aid player development and ensure teams compete at appropriate levels of competition. To create a positive environment for every player to develop key essential skills to reach his or her potential. Ensure player pathways exist to aid player development and ensure teams compete at appropriate levels of competition. To recruit, develop and retain a coaching workforce that supports player development and retention. To develop a support structure for coaches within the club ensuring they can continue to develop and learn and remain motivated. Provide an environment where coaches are supported and rewarded. To ensure the club has the right people in place to run the club and that all volunteers feel supported and valued in what they do. Look to divide responsibilities across all available people within the club to lighten the load on existing volunteers and look to introduce new volunteers periodically. Maintain, develop, promote and support an effective volunteering environment within the club. To identify and secure the required facilities for fixtures and training, catering for the expected growth identified in the development plan. Access support to improve the quality of the playing surfaces and changing facilities. Maintain the existing club facilities with focus on growth and improvement.